ScopeHosts caters to people from across the globe and we strive to safeguard the interest of each client and provide them with the best possible service. These terms of service were defined in order to ensure that our services remain of world class quality. Terms of Service or TOS define the rule and regulations for using our web hosting services. All of our services are subject to the terms defined here under. Please read all the terms carefully and make sure you understand and agree to all the terms and conditions in its entirety. Signing up for using ScopeHosts Service implies that you agree with all these terms and are bound by the same. 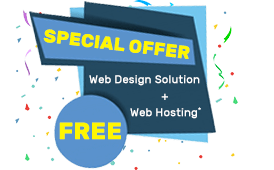 ScopeHosts provides a number of services to its customers. The services and products provided to you by ScopeHosts, as set out on our website, are referred to as the Services. We provide the Services to you based on the description of them on our website as of the Effective Date. Should our website change subsequent to the Effective Date, we have no obligation to modify the Services to reflect such a change. The Services may be provided by third parties. These third parties may have reserved the right to make changes, including material changes, to the services provided by them. We will use commercially reasonable efforts to inform you of those changes. However, you may not terminate this TOS based on such a change by a third party. We resell domain names. When you apply to register a domain name, your request is transmitted to Resellerclub. You are bound by Resellerclub's domain name registration policies and procedures. These policies and procedures are available here. Because there is often a period of time between your registration request and the actual registration of the domain name, we do not guarantee that your registration domain name will be registered. We will use commercially reasonable efforts to register or update domain names. However, circumstances beyond our control, such as billing issues, may result in your domain name failing to register, or to lapse. Our liability in such a case is limited by paragraph 12 below. For this reason, it is your obligation to ensure that your domain name does not lapse. Please review paragraph 2.1.1 of the cPanel End User License Agreement. It is expressly incorporated into this TOS by reference. All services provided by ScopeHosts may only be used for lawful purposes. This includes, but not limited to: copyrighted material, material we judge to be threatening or obscene. The customer agrees to indemnify and hold harmless ScopeHosts from any claims resulting from the use of our services. Government IDs and licences including replicas and novelty items and any counterfeit products. Multi-level marketing, pyramid selling or ponzi schemes, matrix programmes or other get rich quick schemes or high yield investment programmes. Timeshares or property reservation payments (On and Off Plan). III. The Company does not permit or authorize any attempt to use its network in a manner that could damage, disable, overburden or impair any aspect of any of our services, or that could interfere with any other party’s use and enjoyment of any the Company product or service. IV. We monitor all traffic to and from our servers. Customers suspected of using the Company’s products and services for the purpose of sending SPAM will be investigated. It is the Company’s policy to immediately remove and deactivate any offending web site sending SPAM. V. Customers may be asked to produce records that verify that explicit affirmative permission was obtained from a recipient before a mailing was sent. The Company may consider the lack of such proof of explicit affirmative permission of a questionable mailing. VI. Customers are prohibited from maintaining open mail relays on their servers. Ignorance of the presence or operation of an open mail relay is not and will not be considered an acceptable excuse for its (the open mail relay) operation. VII. Customers are prohibited from providing hosting services for websites that have been included in SPAM. Hosting includes, but is not limited to, hosting website(s), providing DNS services as well as website redirect services. VIII. If the Company believes that unauthorized or improper use is being made of any product or service, it may, without notice, take such action as it, in its sole discretion, deems appropriate, including blocking messages from a particular internet domain, mail server or IP address. The Company may immediately terminate any account on any product or service which it determines, in its sole discretion, is transmitting or is otherwise connected with any e-mail that violates this policy. XI. The Company reserves the right to suspend and/or cancel permanently any and all services provided to a User without any notification. If a Customer is in violation of any term or condition of this SPAM Policy, the Acceptable Use Policy, User Agreement or uses of our services to disrupt or, in the Company's sole judgment, could disrupt the Company's business operations, the Company reserves the right to charge such Customer an administrative fee equal to $10000 per each piece of SPAM sent. X. To report an incidence of SPAM, please send an email to abuse@scopehosts.com. XI. Nothing in this policy is intended to grant any right to transmit or send e-mail to, or through, our network. Failure to enforce this policy in every instance does not amount to a waiver of the Company’s rights. XII. Unauthorized use of the Company’s network in connection with the transmission of unsolicited e-mail, including the transmission of e-mail in violation of this policy, may result in civil and criminal penalties against the sender and those assisting the sender, including those provided by state and federal laws. You agree to supply appropriate payment for the services received from ScopeHosts, in advance of the time period during which such services are provided. You agree that until and unless you notify ScopeHosts of your desire to cancel any or all services received, those services will be billed on a recurring basis. Billing of the activated service will be charged from the day of service provision. ScopeHosts reserves the right to change the monthly payment amount and any other charges at anytime. ScopeHosts generates invoice of the services 12days before due date. And Invoice payment reminder is sent 7days prior to the due date. ScopeHosts will be charging 12% late fees to any overdue invoices of the services after 1day of due date. Customer acknowledges to clear the total overdue invoice, along with the late fees charged. In case, you are not able to pay the due invoice, due to unavoidable circumstances like being out of station, Payment Gateway Account Limited, Credit Card Expired Etc., In such cases client needs to inform our billing department with prior notice on delay payment and requesting to remove late fees applied. ScopeHosts holds sole right to accept or deny the request. Your use of this service is at your sole risk. Our backup service is provided to you as a courtesy. ScopeHosts is not responsible for files and/or data residing on your account. You agree to take full responsibility for files and data transferred and to maintain all appropriate backup of files and data stored on ScopeHosts Servers. Backups will not be provided for accounts that have been suspended or terminated for any reason unless otherwise agreed to in writing by ScopeHosts. ScopeHosts reserves the right to cancel the account at any time. Customer acknowledges that a minimum of 12 days cancellation notice prior to the following renewal term must be given in writing to ScopeHosts or the Customer will be responsible for full payment of the following term. Cancellation request must be submitted to the Administration department. Cancellation request must be submitted from the main email address on file with ScopeHosts. Cancellation request must contain a valid reason. ScopeHosts gives you full refund on first 30 day moneyback guarantee on all the webhosting services except dedicated servers. Payment made for Domain registration, Product Addons, Management Services DO NOT come under refund policy, domain name can be transferred to client after 60days of the subscription. Accounts Suspended/Canceled/Terminated by ScopeHosts DO NOT qualify for our “Anytime Money Back Guarantee”. This also includes accounts suspended for TOS violations, in which the customer decides not to fix the violation. Only first-time accounts are eligible for a refund. For example, if you've had an account with us before, canceled and signed up again, you will not be eligible for a refund or if you have opened a second account with us. The Anytime MoneyBack Gurantee applies on only first service ordered, does not apply on second or other multiple services ordered in future. Additional/Advance/Credit funds payment made by the client for future months do not include in refund policy. The client holds sole responsibility for making the advance payments towards the services. In case client chooses to cancel all the active services and still the funds remain in the client credit system. Client can only utilize the credit funds for the future service orders and ScopeHosts will not be liable to refund such amounts. Under this Terms of Service agreement you must first contact ScopeHosts to attempt to resolve any billing disputes before contacting your bank or credit card company to dispute the charges. You further agree that any billing disputes must be submitted in writing to our administration department within one month of the invoice payment in question. By using our services You agree to the above policy and to contact ScopeHosts before contacting your financial institution to seek a resolution. In the event you dispute charges contrary to this agreement, we reserve the right to refer your account or sell your debt (plus any applicable fees) to a third party collection agency. We also reserve the right to take further legal action against you. Domain registration does not complete in cases, when the client uses special characters in the profile, contact details and invalid contact number. Shared Hosting order fails to complete, when the domain is repeatedly used to ordered the web hosting service. Client receives the VPS Service Details in registered email address instantly after completion of order placement through the website. Instant Setup holds 99% of success rate for instant vps setup. In cases of wrong hostname chosen by client, Operating System not selected, Location not chosen, low stocks on the nodes will lead to manual setup of VPS and is not covered under instant setup. Manual setup of VPS will vary from 1-12working hours. In case you needs the VPS setup urgently, client needs to open sales support with “High” priority and the order will be completed within 1-6 working hours. Shared hosting space may not be used for storage (whether of media, emails, or other data), including, as offsite storage of electronic files, email or FTP hosts. Audio/Video streaming (other than that which is incidental to a site's operation). Storage of a large amount of uncompressed or full-size digital images. Distribution of large audio or video content such as MP3 files. Online backups (i.e. backup of desktop/laptop computer, files, or anything not directly related to the website). ScopeHosts expressly reserves the right to review every shared account for excessive usage of CPU, disk space and other resources that may be caused by a violation of this Agreement or the Acceptable Use Policy. ScopeHosts may, in our sole discretion, terminate access to the Services, apply additional fees, or remove or delete User Content for those accounts that are found to be in violation of ScopeHosts's terms and conditions. Shared web hosting accounts are allowed to use a maximum of 2,50,000 inodes and 20-35 concurrent HTTP connections to the server. Managed Wordpress Hosting accounts has 4,50,000 inodes and 35-50 concurrent HTTP connections to the servers. Backups older than 30-days in a customer account may be removed from the server at our discretion. Complimentary Server Rewind for shared web hosting backups are limited to a 40GB quota. If you exceed 40GB of disk usage in your account, your account will no longer be backed up. Please download any cPanel backups and store them locally. Word "UNMETERED BANDWIDTH" And “UNLIMITED BANDWIDTH” is assigned to very high bandwidth allocated hosting plans. Where the user is able to use high bandwidth upto max 20TB/Month on fair usage policy (Only Applies to Shared, Reseller, VPS Services). Once this Limitation is reached the service is automatically suspended. To reactivate the service, you need purchase Bandwidth Packages with respective fees allocated to the packages. Until then the service will be remained closed/suspended. Very High bandwidth users are suggested to upgrade their service to 100TB Dedicated Hosting or Unmetered Dedicated Hosting. Incase of any over usage of bandwidth ( More then 20TB ) client/reseller will be charged with 0.15Euros/GB. Should a client/reseller utilize or require large amounts of bandwidth, beyond the standard bandwidth allocation. ScopeHosts may require a deposit. ScopeHosts reserve the right to change prices listed on ScopeHosts, and the right to change the amount of resources given to plans at any time. Contract pricing customers will not be affected by any price change throughout the contract period. The amount you pay for hosting will never increase from the date of purchase. ScopeHosts strives to maintain a 99.9% Network and Server Uptime Service level. This uptime percentage is a monthly figure, and is calculated solely by ScopeHosts monitoring systems or ScopeHosts authorized/contracted outside monitoring services. If ScopeHosts fails to meet it's 99.9% uptime guarantee, and it is not due to one of the exceptions below, credits will be made available to each client, upon request, on a case by case basis. ScopeHosts does not credit a full month's service for minor downtime. This would not be financially healthy for ScopeHosts, and in turn would only negatively affect the service level ScopeHosts provides to you. "Partial credit for partial downtime"is our standard policy. In extreme circumstances, ScopeHosts may distribute full month credits, but this is dealt with on a case by case basis. Credits are issued for one months service only, never more. Circumstances beyond reasonable control, including, without limitation, acts of any governmental body, war, insurrection, sabotage, embargo, "Acts of God" (i.e...fire, flood, earthquake, tornado, etc...), strike or other labor disturbance, interruption of or delay in transportation, unavailability of or interruption or delay in telecommunications or third party services, failure of third party software or inability to obtain raw materials, supplies, or power used in or equipment needed for provision of the Service Level Agreement. Telco Failure (ie. Verizon™ cutting a fiber line somewhere). Backbone peering point issues (ie. UUnet™ having a router go down in Virginia that wipes out internet service for the entire East Coast). Hardware failure (faulty hardware is rare, but cannot be predicted nor avoided). ScopeHosts utilizes only name brand hardware of the highest quality and performance. Software bugs/flaws (Exploits and bugs may develop that cause security issues or downtime). DNS issues not within the direct control of ScopeHosts. Network floods, hacks, attacks from outside parties or individuals. Failure or error of any ScopeHosts monitoring or measurement system. Client's acts or omissions, including without limitation, any negligence, willful misconduct, or use of ScopeHosts service(s) in breach of ScopeHosts. Policy and Service Guidelines (AUP), by Client or others authorized by Client. ScopeHosts grants to you a non-exclusive, non-transferable, worldwide, royalty free license to use technology provided by ScopeHosts solely to access and use the Services. This license terminates on the expiration or termination of this TOS. Except for the license rights set out above, this license does not grant any additional rights to you. All right, title and interest in ScopeHosts's technology shall remain with ScopeHosts, or ScopeHosts's licensors. You are not permitted to circumvent any devices designed to protect ScopeHosts, or its licensors', ownership interests in the technology provided to you. In addition, you may not reverse engineer this technology. We may provide technical support, implementation, customer service or administrative information to you. This information is not confidential. We may use this information, as well as aggregate information gleaned from the operation of our business in general, to improve, or create new products and services. We shall be the exclusive owners of this intellectual property. You waive any rights you may in this intellectual property, and assign all right, title and interest in it to us. You grant ScopeHosts, and any third parties used by ScopeHosts to provide the Services, a non-exclusive, non-transferable, worldwide, royalty free license to use, disseminate, transmit and cache content, technology and information provided by you and, if applicable, End Users, in conjunction with the Services. This license terminates on the expiration or termination of this TOS. All right, title and interest in your technology shall remain with you, or your licensors. (ii) issue you a credit based on the amount of time the Services were not in conformity with this warranty, subtracted (“pro-rated”) by the amount of time they were in conformance. For the purposes of ScopeHosts's warranty, the following issues shall not constitute services within the definition of “similarly situated companies”: up-time, “up-time guarantees” or other items for which ScopeHosts provides a service level agreement, regardless of whether a service level agreement is, or was, available for the Services. (iv) You have sufficient knowledge about administering, designing and operating the functions facilitated by the Service to take advantage of the Service. THE SERVICES ARE PROVIDED ON AN AS-IS AND AS-AVAILABLE BASIS. OTHER THAN AS EXPRESSLY SET OUT HEREIN, SCOPEHOSTS HAS NOT, AND DOES NOT, MAKE ANY WARRANTIES WHETHER EXPRESS OR IMPLIED. THIS DISCLAIMER INCLUDES, BUT IS NOT LIMITED TO THE WARRANTIES OF NON-INFRINGEMENT, FITNESS FOR A PARTICULAR PURPOSE, WARRANTIES OF MERCHANTABILITY, AND TITLE. SCOPEHOSTS DOES NOT WARRANT THAT THE SERVICES WILL BE UNINTERRUPTED, ERROR-FREE, SECURE OR FREE FROM VIRUSES OR OTHER HARMFUL COMPONENTS. SCOPEHOSTS IS NOT LIABLE, AND EXPRESSLY DISCLAIMS ANY LIABILITY, FOR THE CONTENT OF ANY DATA TRANSFERRED EITHER TO, OR FROM, YOU OR STORED BY YOU OR ANY OF YOUR CUSTOMERS VIA THE SERVICES PROVIDED BY US. SCOPEHOSTS SPECIFICALLY DISCLAIMS ANY AND ALL WARRANTIES REGARDING SERVICES PROVIDED BY THIRD PARTIES, REGARDLESS OF WHETHER THOSE SERVICES APPEAR TO BE PROVIDED BY US. NO WARRANTIES MADE BY THESE THIRD PARTY ENTITIES TO SCOPEHOSTS SHALL BE PASSED THROUGH TO YOU, NOR SHALL YOU CLAIM TO BE A THIRD PARTY BENEFICIARY OF SUCH WARRANTIES. THIS WARRANTY DISCLAIMER EXTENDS TO ANY ORAL OR WRITTEN INFORMATION YOU MAY HAVE RECEIVED FROM SCOPEHOSTS, ITS EMPLOYEES, THIRD-PARTY VENDORS, AGENTS OR AFFILIATES. YOU MAY NOT RELY ON SUCH INFORMATION. SOME STATES DO NOT ALLOW SCOPEHOSTS TO EXCLUDE CERTAIN WARRANTIES. IF THIS APPLIES TO YOU, YOUR WARRANTY IS LIMITED TO 90 DAYS FROM THE EFFECTIVE DATE. It is your obligation to ensure the accuracy, integrity, title or ownership, and security of anything you receive from the Internet. You agree that ScopeHosts has no liability, of any sort, for content you or your customers access from the Internet. ScopeHosts provides no guarantee that the Services will be uninterrupted, or continuous, that you will be able to access ScopeHosts's network at a particular time, that any data transmitted by ScopeHosts is accurate, error free, virus free, secure, or inoffensive. You acknowledge that it is your responsibility to keep back-up copies of your data. ScopeHosts is not responsible for any loss of data, for any reason. ScopeHosts is not liable for unauthorized access to, or any corruption, erasure, theft, destruction, alteration or inadvertent disclosure of, data, information or content, transmitted, received, or stored on its network. IN NO EVENT WILL SCOPEHOSTS'S LIABILITY HEREUNDER EXCEED THE AGGREGATE FEES ACTUALLY RECEIVED BY SCOPEHOSTS FROM YOU FOR THE 3 MONTH PERIOD IMMEDIATELY PRECEDING THE EVENT GIVING RISE TO SUCH LIABILITY. FOR THE PURPOSES OF THIS PARAGRAPH ONLY, THE TERM SCOPEHOSTS SHALL BE INTERPRETED TO INCLUDE SCOPEHOSTS'S EMPLOYEES, AGENTS, OWNERS, DIRECTORS, OFFICERS, AFFILIATES, AND THIRD PARTIES PROVIDING SERVICES TO YOU THROUGH US. YOU AGREE THAT, TO THE MAXIMUM EXTENT PERMITTED BY APPLICABLE LAW, YOU WILL NOT UNDER ANY CIRCUMSTANCES INCLUDING, BUT NOT LIMITED TO, NEGLIGENCE, HOLD SCOPEHOSTS OR ITS LICENSORS, AGENTS, EMPLOYEES, OFFICERS AND/OR THIRD PARTY VENDORS, LIABLE FOR ANY INDIRECT, INCIDENTAL, SPECIAL, CONSEQUENTIAL OR PUNITIVE DAMAGES WHATSOEVER INCLUDING, BUT NOT LIMITED TO, DAMAGES FOR LOSS OF PROFITS, COST SAVINGS, REVENUE, BUSINESS, DATA OR USE, OR ANY OTHER PECUNIARY LOSS BY YOU, ANY OF YOUR END USERS OR ANY OTHER THIRD PARTY. YOU AGREE THAT THE FOREGOING LIMITATIONS APPLY WHETHER IN AN ACTION IN CONTRACT OR TORT OR ANY OTHER LEGAL THEORY AND APPLY EVEN IF SCOPEHOSTS HAS BEEN ADVISED OF THE POSSIBILITY OF SUCH DAMAGES. SOME JURISDICTIONS DO NOT ALLOW THE LIMITATION OR EXCLUSION OF LIABILITY FOR INCIDENTAL OR CONSEQUENTIAL DAMAGES; YOU AGREE THAT IN THOSE JURISDICTIONS OUR LIABILITY WILL BE LIMITED TO THE EXTENT PERMITTED BY LAW. (iii) Any breach of any of your representations, warranties or covenants contained in this TOS; and/or (iv) Any acts or omissions by you. The terms of this section shall survive any termination of this Agreement. For the purpose of this paragraph only, the terms used to designate “you” include you, your customers, visitors to your website, and users of your products or services, the use of which is facilitated by us. (iii) If neither of the foregoing alternatives is reasonably available, immediately terminate ScopeHosts's obligations (and your rights) under this TOS with regard to such product or service, and, refund the Fee charged by us for the period in which the Services were unavailable. ScopeHosts offers a 99.9% uptime guarantee. This guarantee excludes scheduled maintenance periods as outlined in our Maintenance Policy. The Maintenance Policy is available at Server Maintenance Policy. The validity, interpretation, and performance of this TOS, and of the agreements and policies that apply to the Services, shall be controlled by and construed under the laws of the State Karnataka, India as if performed wholly within the state and without giving effect to the principles of conflicts of law. You agree that jurisdiction and venue are proper in the state courts located in Hubli, Karnataka. No waiver of rights under this TOS, or any ScopeHosts policy, or agreement between you and ScopeHosts shall constitute a subsequent waiver of this or any other right under this TOS. This TOS may be assigned by ScopeHosts. It may not be assigned by you. This TOS shall bind and inure to the benefit of the corporate successors and permitted assigns of the parties. Sections 16, 17, 18, 19, 20, 23, 24, 27 and 28 shall survive the termination of this Agreement. ScopeHosts reserves the right to revise its policies at any time without notice. Questions? Please feel free to Contact Us for any clarifications regarding this agreement, preferably before signing up.